The estimated cost of renovating the dilapidated and outdated U.N. headquarters jumped from $1.2 billion to $1.6 billion because of delays and rising construction costs, according to a U.N. report released Thursday. The report was a result of a 60-day review of the long-overdue U.N. renovation project, which has become bogged down in political wrangling and been sharply criticized by U.N. critics in the U.S. Congress and New York state legislature, as well as some member states. Even though the U.N. official in charge of the project stressed that the new estimate was sound, it is likely to spark a new outcry in Congress, particularly because the United States will have to shoulder just under a quarter of the cost. According to the new plan, which would pay for the renovation according to U.N. assessments, the United States would have to pay about $350 million — the same 22 percent allotment it pays for the general U.N. budget. Given that distaste for the United Nations is so strong in the U.S. Congress, American and U.N. officials acknowledge that pushing that through will be tough. "We received the report and are studying it," U.S. Mission spokesman Richard Grenell said, refusing to go any further. 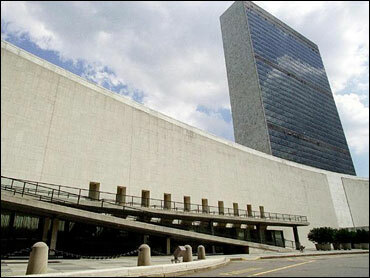 The U.N. headquarters was considered modern when it was constructed 50 years ago, but now violates most New York City fire and safety codes. The 38-story tower has no sprinkler system, is packed with asbestos and leaks about 25 percent of the heat pumped into it in the winter. The new revision could be especially tough to digest because critics had argued that the previous price tag of $1.2 billion was grossly inflated. The man in charge of the project, American Louis Frederick Reuter IV, was appointed in July in a clear effort to address those concerns and reassure critics that the project was in good hands. He said the key reason for the rise was delay — an earlier plan had to be abandoned because it required approval from the New York state legislature, which refused to budge. "The only thing that has happened to us is time," Reuter said. He said the current costs were sound and that, measured by square footage, the work fell within a good price range. "From my point of view, the project is a sound project," he said.